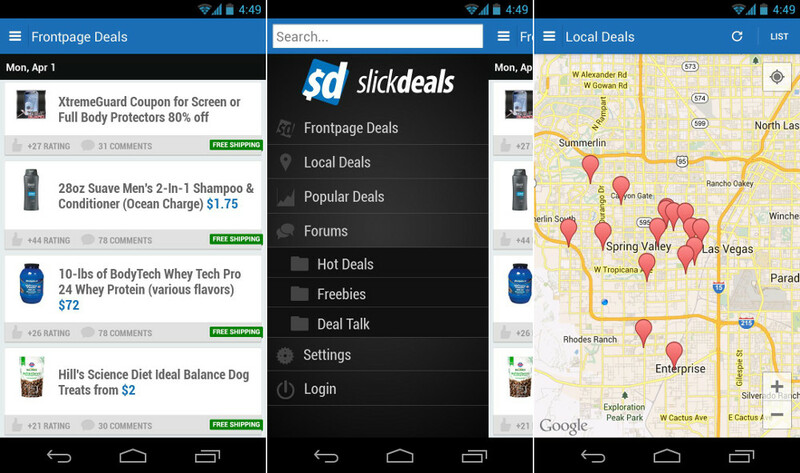 Slickdeals, one of the best sources for discounts on the internet, released an official Android app last night that’s actually pretty amazing. The app itself is designed with a slideout left navigation panel (like YouTube, Facebook, ScoreCenter, etc.) that gives you options for frontpage, local, and popular deals. It also lets you jump right into their forums and then into some of the more prominent sections. The app has push notifications, so you’ll be notified as soon as the hottest deals around hit the front page or when your alert keywords make appearances. We’re talking fully-featured deals app here, folks.